Interests - Watching DVDs, videos, reading, music, being out in his sensory garden. Dominic mostly appreciates anything visual, especially postcards, magazines, books or little cause and effect toys/gadgets. His arm movement is now very limited so he can't pick things up easily. He loves any reading material about Motorbikes, cars, ships, planes... any transport basically. Suffers from any developmental delay? - Yes - Dominic has severe leaning difficulties and limited arm use, so toys for over 5’s or that need a lot of mobility are no good for him. Post with pictures on and things he can look at are preferred to very lengthy letters. Likes gadgets, watching films, music, crafty items, edible goodies, girly things and magazines, High School Musical, Dr Who, Merlin and Chuck. Likes cars, trains, bikes, Disney things, Cbeebies programs like Thomas the Tank Engine, Show Me Show Me, The Wiggles, books and puzzles. 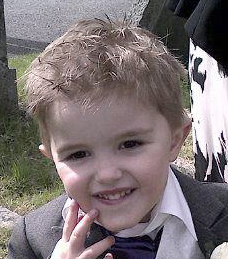 Dominic was diagnosed with Duchenne Muscular Dystrophy (DMD) when he was 3 years old. His Mum began to suspect something was wrong as Dominic couldn’t jump or go up and down stairs. DMD is a condition which causes the muscles to die and is life limiting. Sufferers, always boys, go off their feet and into a wheelchair at around 9 years old, although they normally need a wheelchair before 9 years old for occasional use, especially if walking any distance. Dominic was such an active baby, toddler and boy, and his Mum thought he would react badly to having to go in a wheelchair, but he accepted it well. Due to his severe learning difficulties, Dominic does get frustrated as he can’t do things for himself and yet can’t always communicate what he wants. Dominic is, on the whole, a happy boy although he can be a bit ‘Kevin the teen’ on occasions since he hit 13 last year. He loves his books, DVD’s and CD’s and has most of the Disney films. He likes things that are more for under 8’s and he can use easily as his arms muscles are weak now and he can’t lift things any more. He likes going for day trips out too. He doesn’t like too much noise or people around him. Dominic is very affectionate and loves cuddles with his Mum, even at 14 years old. He has a huge fan base and people fall in love with him easily whether it’s family, friends or professional people who see him. He occasionally goes to Keech Cottage, a children’s hospice in Luton and loves it there. Dominic is a very special, much loved boy. It’s been months and months since I last updated due to the website being revamped and I’ve been so busy. Dominic has been plodding along. He’s had a sleep study which has shown his respiratory system is pretty good still. It is dropping slowly but he still doesn’t need night time ventilation. His heart has remained the same, thank God. His mobility is getting worse and worse. He can hardly move his hands at all now. It literally is just his fingers. Other than that he can still move his head and upper trunk ok. He has to start going to the Thoracic clinic locally to monitor his chest more regularly. His appetite has dropped and it has become increasingly hard to get him to eat much so his weight has dropped. This is normal for DMD boys but worrying. Due to his severe learning difficulties it is hard to encourage him to eat or reason with him. If he won’t then he won’t. He is getting a new wheelchair from Whizzkids in the near future as now he’s 18 he’s outgrown his other one. We are soon moving house where Dominic will have a much bigger bedroom and more space to move around. Dominic will be going to college next September and, at present, we are still trying to get funding for Dominic to go out of County as he cannot be provided for within County, but the red tape you have to get through is unbelievable. He has been offered a place at the college though and I have accepted on his behalf. It is perfect for him. After careful consideration I have decided to move Dominic on from Post Pals and make room for someone else who would benefit from receiving mail. Dominic is finding it increasingly hard to pick up anything and can’t read. His sisters are both in Secondary school and busy with homework and Ben has been spoilt rotten (in a nice way) by Post Pals. I am very busy sorting out both Dominic’s transition from his school and Vanessa’s transition from secondary school and I’m helping with dog rescue again and stitching for Love Quilts still. Therefore, I want to thank everyone who has taken time and spent money on making my children smile, especially Dominic. It has made a huge difference to all the kids this last 4 years and we are all extremely grateful. It is so reassuring to know there are still so many people who care about others despite having their own busy lives. You are all angels. Thank you from the bottom of my heart. Obviously, thanks to everyone who has sent a card/present/letter/postcard/email the last few months since I’ve updated. Some have been taken away by the kids so if your name is missing I am so sorry but a final heartfelt thank you to:- Helen (SparklyStar), Natashja, Georgia, Laura and the 3rd Dorchester Brownies, Emma, Rosemary, Claire (Guernsey), Erica, Sarah (North Wales), Laura J, Harriet Hunt, Jane Fawcett, Adam, Joe and Tom, Dorothee, Jen, Ally, Claudia from Germany, Anita, Eric, Tracey, Poppy, Kate Stanforth, Rachel, Launa J, Jessica, Helen E, Maria and Michael, Jenny from Cardiff, Claire H, Heikki R, BB, Dawn, Emily B, Candice Nash, Becky Butler, Catherine, Susan from USA and Alex Hanson. To the regular people who have been consistent and amazing for a lot of the 4 years:- Sarah Gilligan, Ray and Marjolijn, Becky Fisher, Dominic and Gethrin, Kim (who always will be Ginger to me! ), Karen (Sami), Kate D, Imogen and Ben, Christine B, Jo from Belgium, Libby, Jenny, Denise C, Elizabeth Batty and Claire. To anyone I’ve missed and everyone who has sent mail to my family… Thank you so much. We really do appreciate it. To all who work behind the scenes at Post Pals i.e. Viks, both Kates and everyone else… You are an inspiration and have added so many smiles the last 4 years. Thank you all. And to all the other Pals, past and present, and their families… Love and Best Wishes to you all. You will always be in our thoughts and hearts and I will continue to send mail to Pals. Dominic’s Echocardiogram in January showed the ACE inhibitors and Beta Blockers are doing their stuff as there has been no change, thank God. He was very poorly last month. He had a sickness bug which went over 12 hours but he was lethargic, weak, and very poorly afterwards, and didn’t get out of bed for 6 days and didn’t eat for 10 days. It was very worrying and he looked awful. Thankfully he seems fine now although he hasn’t got such a good appetite these days. I am still trying to get his seating sorted out as he is leaning forward really badly now and I have to keep pushing him back. I am trying to get it sorted but, as per everything, no-one seems in a rush to help and I end up chasing everyone. Dominic has to leave his fantastic school next year which will be tough as he’s been there since he was 5 years old. I have been to look around a local college and on Monday went to look at another college in between Bedford and Wellingborough which I think would be great for Dominic. If he stays locally he will be shoved from pillar to post and lose his respite and social life almost totally. With this one he could go there in the week and I would fetch him at the weekends. Initially I didn’t want him to go to a residential placement and thought that, if he knew his life expectancy was a lot less, he wouldn’t want to be away from home, but my sister rightly said ‘of course he would.’ He would want a quality of life and she is totally correct. They have different activities after lessons every night whereas he would be bored at home every night and weekend. So… now comes the fight for out of County funding, but his name is down and I intend to get him in there if at all possible. Thanks to Imogen and Ben for their cards and gifts for Ben. You are so consistent and it is really appreciated. Also, thanks to the amazing Viks, Sarah G, Karen (Sami), Leela for all her cards, Angela, Bethan, Christina and dog Charlie, and the photos from Dominic and Gethin… and the Lego club membership form. Thanks for Dom’s Valentines cards too… the two with ‘?’ and the one from Marjolijn and Ray. Thanks to Denise for Ben’s letter and the gift. Thanks also to Becky for her regular letters and bits to Emily. She loves hearing from you. Love to everyone at Post Pals, all the Pals themselves and families… and especially to Katy H and Connor’s families and friends. Since my last update Dominic has had another echocardiogram which showed that the Ace inhibitor and the beta blockers have stabilized his heart so far. Let’s hope it stays this way. We had a Neurological appointment last week at GOSH just to discuss Dom’s general health and we discussed ways of improving Dominic’s seating, as he is starting to lean forward a lot and it’s clear that he is losing strength in his torso. He is also finding it increasingly difficult to move his forearms and hands now and even steering his wheelchair is more difficult for him. This is such a cruel illness. He is obviously uncomfortable at times so I think he is getting a bit of pain in his legs and muscles in general. It’s so hard to know for certain or pinpoint anything due to his Severe Learning Difficulties. Dominic has his next Echocardiogram next week on Tuesday (24th Jan). Keep your fingers crossed for us please. On another note, Dominic’s little brother, Ben, who turned 4 just after Christmas, has been ‘unofficially’ diagnosed as being on the Autistic Spectrum now. It doesn’t overly surprise me as he was showing tendencies like his brother and older sister and hopefully with a bit of help he will get along ok. He is a placid lad but does have some funny ways at times and can be hard to handle. I’d like to say a really HUGE thank you to everyone who set aside time in what is a very stressful and busy month to send a Christmas card, Ben a birthday card, or a letter or a gift to Dominic or his siblings. I can’t tell you how much it is appreciated and you people are just so caring and thoughtful. Thanks to Helen T, Denise C, Jo from Belgium, Aafke and Iris, The Homberg family, Christine from Florida, Kay, Katie, Emily Collingridge, Becky and Josh, Ray, Marjolijn and Does, Marty Long, Helen R, Sarah G, Matt Dover (homemade card! ), Glad, Lizzie, Jenny, Suzy (good luck), Daniel, Dominic and Gethin, Kay, Despina, Charlotte, Angela and Elyse (Dom loved the car and Christmas huge car you made. Hope Angela’s brother is doing well! ), Viks, Glad, Catherine, Kim and baby Stevie, Rachel, Dawn Goddard, Sarah G, Angela, Christine, Niduska, Imogen and Ben, Penny, Jane (loved the poem), Joe and Josh, Christopher Adam, Di, Steve, Daniel, Chris and Laurue, Elaine, Graham, Danielle and Hazel, Bekki Ford for the Santa letters (you took so much time and effort. Don’t know how you managed it with organising Christmas. Thanks so much. We read them to Ben but his sister really loved them too), Holly (great letter and Santa pics), and Danielle. Thank you so much for taking the time to send the letters and Dominic’s siblings and us enjoyed reading them. I would like to wish all Post Pals and their families, Viks, Kate W, Kate D, and everyone who sends post, a very Happy and Healthy New Year. Dominic’s sleep study results were as good as last year. Good news at last, thank goodness. I also want to say thank you to Tracy from Bristol, Dominic and Gethin, Ruby, Maria and Michael, Jenny Orpwood, Jenny, Denise C and superwoman (AKA Viks!) for Dominic’s cards. The visit at GOSH on 12th September really just confirmed what had already been said. We discussed ways of making Dom as comfortable as possible in his wheelchair now he can’t have the spinal surgery and they said that the Cardiology department needed to keep an eye on Dom’s heart to see/make sure it stabilises and doesn’t drop suddenly again. After having said that, I then got an appointment through from the Cardiology department with an appointment for January!! Six months after his last Echo! After phoning the wonderful Ruth Barrett, who spoke to the Cardiology department, who then called me, they are going to send Dom an appointment for this month… although I still haven’t had one. When I spoke to them they didn’t seem to see the urgency and I almost felt that they were giving Dom the appointment just to keep me happy. I just don’t understand it. Why don’t they think it’s important? Dominic and I are at Brompton Hospital tomorrow overnight as he has a Sleep Study to check his lung function/breathing patterns. Last year the results were almost perfect and I’m hoping that there is no change or we will have problems, as obviously if the lungs aren’t working properly it puts extra strain on the heart, and Dom would need BiPap at night. I just don’t know how he will cope with that. I think Dom deserves a bit of good luck this year. Last year Dom really enjoyed us being there together alone though so I’m hoping that we have a nice time again this year despite the circumstances. I have also booked me and Dom a long weekend away in Norfolk on Bonfire weekend in an adapted cottage that has a swimming pool with a hoist on site. Can’t wait! I would like to thank everyone for all their thoughts, care, well wishes etc. Please mention Dom in your prayers if you are religious. It can only help. Huge thanks to Glad, Ewelina, Marion, lots from Jenny (congratulations on your wedding), Penny, Nathalina, Susan, Dominique, Melanie, Christine, Jo from Belgium, Ninta, Julia, Ray, Marjolijn and Does, Willa, Jane, Becky, Teresa, Tina, Lucy, Beverly, Karen (Sami), Imogen and Ben, and Angela. Thanks to Sarah, Libby (thanks to Sarah for my personal letter, what a fantastic lady you are!) and thank you to Keri. Apologies if your name has been missed off. I have to retrieve post from all over the house but all are appreciated, believe me. Huge, huge, huge thanks to all the ladies at Post Pals for my make up bag of goodies. It is all useful and really cheered me up. You are amazing. Loving thoughts to all Pals and families. Firstly, I would like to thank everyone who has sent card/postcards/letters and gifts to Dominic and his siblings over the last 2 months. I am so sorry not to mention everyone singularly, but the post is spread all over the house and with the summer holidays and with the kids home I’ve not had time to keep on top of it, especially as I’ve had visits to GOSH and been cross stitching for Love Quilts too. To say they have all been very much appreciated is an understatement… especially Dominic’s birthday cards and bits. He had a great birthday at Church Farm in Stow Bardolph, Norfolk, as we were on holiday in Pentney, Norfolk, at the time. We all had a great holiday actually and were sorry to come back. It’s amazing how things can change so quickly and we had some very upsetting news this week. After going back for yet another echo and ECG in the middle of August, the Neurological department have been through the results and had a meeting and we have been greeted with the bad news that Dominic’s heart is not in a good enough condition to undergo anaesthetic, as it’s just too risky, so he won’t be having the spinal surgery. He has moderate Cardiomyopathy. He is on the young side for his heart to be affected like this and GOSH feel that taking into account other boys with DMD who have had heart problems at this age, Dominic’s life expectancy has been reduced substantially and anything over 20 years old will be a bonus. He has just turned 17. We have been plodding along day to day since Dom was young with his health and mobility disintegrating all the time, feeling like we always had time… for treatment, a cure… and now we are counting down and times running out. I know there are very young children on Post Pals that lose their fights to awful illnesses too and there are a lot of times I’ve read updates on here and thought how lucky we are… this isn’t one of those times. I am trying very hard to process the information I have been given, but at the end of the day, Dominic is my life and I am finding it very hard to keep a brave face for the other kids… and obviously for Dominic. From now on life has changed totally and will never be the same. I have to go to GOSH on Monday 12th September (Ben’s first day at Nursery) alone to speak to the Neurological team about where we go from here, and more in-depth, the results and implications of Dominic’s heart. I have a feeling I’m not going to like what I hear even more than I haven’t already. Prayers and support to all the Pals and their families… including my own. I must apologise for not updating sooner. This year and in particular these last few months, have been very trying and not good ones for our family to be honest. A much loved family member has been fighting Cancer, and we had our lovely old rescue collie cross put to sleep a few weeks back, after months of her being poorly and debating on making that decision. Dominic has asked where she is a few times. I used to have to keep moving her out of the doorway so Dominic could get past in his wheelchair and he can’t understand where she’s gone. I am still grieving too. If you have or have had a dog you will know where I’m coming from. If you haven’t you will probably think I’m daft. We welcomed a new addition to our family just over a week before we lost Skye… a beautiful rescue 5 year old ex stud Labrador who we have called Oz. Skye took a real liking to him before she left us. Dominic appears to be very keen on him and Katie, our Lurcher, is glad of the company. She misses Skye too. We still have no date for Dominic’s spinal surgery but they have indicated it will be around November/December time. Dom had an MOT at GOSH in April and an echo he had done showed that his heart was pretty good and had slightly improved since he started taking Perindopril which was great news. His spine hadn’t got any worse either. They referred us to the Cardiology department at GOSH just to get a more in depth look at Dom’s heart ready for the surgery and we had that appointment a few weeks back. I assumed Dom would just have an echo and a chat with the Cardiologist but it was a long day. Dom had a blood test, echo, ecg, blood pressure taken and THEN we saw the Cardiologist who greeted us with the not so great news that Dom’s heart had swollen slightly. This was slightly worrying as it was only two months prior that he had had an echo which had been positive. They decided to put him on beta blockers ready for the op to make sure he is fighting fit so we went back this Monday gone to start him on them and he was monitored for a few hours to make sure there were no major side effects. He was a star. The bloods were to check his kidneys were functioning properly. His condition means that all his muscles waste so every organ needs monitoring. We have to go back in a month to raise the dose of the beta blockers once we know he’s OK on them and then we need to go back to GOSH again to the Duchenne clinic to amalgamate all the info we have (I assume). Dominic also has his next sleep study in the Brompton in October and from what GOSH have said, the surgery will then be imminent. Please send Dominic some positive, loving thoughts in these coming months as he has a tough time coming up. If someone could send me some strength too I would appreciate it! Thoughts go to all Pals and families who are having a really tough time. I’ve been reading Alice P’s blog – what an amazing young lady. Hope you get a lot of your Bucket list fulfilled Alice. Thank you so much to everyone who sent cards to Dominic and his siblings. We are grateful to everyone:-Anita from Portugal, Jessica, Emily and Poppy-Mae, Karen (everyone loved the Smarties cards), Karen (Sami), Denis, Ray, Marjolijn and Does, Bethan, Imogen and Ben, Juno, Kylee, Dominic and Gethin (the photo is gorgeous), Jo from Belgium, Genevieve, Dawn Goddard, Tor, Rebecca Cook, Libby (we liked the ramblings! ), Chloe, Despina, Julia and Dasha, Courtney, Tracey (Bristol), Jenny, Laura H, Nichola, Jon, Daniel and Jasper the dog, Luca, Helen, Julia, Viks and Post Pals Team, Anita (Texas), Anne Calico, Niek and everyone else who I have missed. This is 3 months worth so some cards, letters etc have disappeared into various areas to be read and or displayed. Thanks so much to Debbie S (Dom loved the drawings) and Sarah G for your lovely letters which we all look forward to reading. Becky Fisher (Emily loves getting your letters and always fills me in on what you are up to and what a clever young lady you are!). The kids have had some lovely presents this last few months including the choccie treats at Easter. We’ve had a few toys, stickers, colouring pads and various drawing stuff, Fuzzy Felts and little trinkets and gadgets. Loved the CD that Sarah, Dominic and Gethin’s Mum, sent. We have watched it a few times. Emily loved the stickers from J Patterson. Thanks also to whoever sent the photos of the Tarantula and the Bearded Dragon (which I am debating getting for Dom for his birthday). Thanks so much to everyone who has spent their hard earned cash getting my kids pressies. It is so kind of you and I am always amazed at what fantastic people there are in the world when the post comes. I loved seeing the pictures on Facebook of the Post Pals party. I had hoped to go with Dominic but it was my sisters’ birthday the same day. It is amazing what Viks, The Kates’ and everyone else who gives up their time achieve, especially when they themselves are poorly. We are very grateful. Things have been pretty quiet so far this year with Dominic health wise. He is due to have his wheelchair reviewed by Whizzkids in the next few weeks. We are still waiting for a date for his spinal surgery but as we haven’t had the pre op yet I am assuming it is unlikely it will be before September now. His February appointment at GOSH was rescheduled to April due to the surgery happening later than expected. Thank you so much for all Emily’s birthday cards. There were some really pretty ones. Thanks for all the cards and postcards too. Dom loves looking at the pictures on them all. The more the merrier. Thanks also for the Valentines cards. Thanks to:- Dina from Oz, Rachel, Lola, Jenny, Libby and Florence, Ally, LOADS from Jenny, Daria, Charlotte May, Jo from Belgium, Wendy from the Netherlands, Jokobl (is that right? ), Penny, Catherine, Maria and Michael, Samantha, Tracey from Bristol, Ray, Marjolijn and Guinea pig (hi back and you are more than welcome! ), Efe, Karin, Nadine, Linda and everyone else who sent one that I can’t find now (they end up being looked at by everyone and in various parts of the house but they are ALL appreciated!). Special thanks to Becky Fisher and Imogen and Ben who write constantly and send things to Emily and Ben. Thanks as always go to Sarah G and also to Jenny for all her letters this last two months. Thanks for all the Special Memory pressies and thanks again to Imogen and Ben who regularly spoil Ben with little gifts. We wish all the other Pals and families our best wishes… especially those in hospital at the moment. Dominic has been up and down the last few months. As always, he enjoyed the run up to Christmas, but over the Christmas period when he was off school he wasn’t very happy on the whole, and neither was his sister. It’s their Autistic tendencies coming out and teenage hormones. This year will be the year of Dominic’s operation and I am waiting to find out when it will happen. We’ve heard that GOSH can’t do any dental work whilst Dom has the op which we had hoped would be possible. I will update better next month when I’ve caught up. I am totally overwhelmed with the cards Dominic and his siblings have received. There have been lots received from all over the world after people have been told about Dominic by ‘Jo from Belgium’ so thank you so much Jo. We have had lots of cards from Sarah, as always, who always finds the time to write lovely long descriptive letters to Dominic and the rest of the family and Ray and Marjolijn who also send lots of cards and gifts. Thanks also to Kim (L), Anne Calico and Despina for their cards as always and Becky Fisher and Imogen and Ben for writing and sending things to Emily and Ben. Emily WILL be writing back Becky. Thanks also for Ben’s Reindeer letters. He enjoyed having them read to him despite saying Reindeer and Santa all the way through. Just HUGE thanks to everyone for the cards in November and December including ones from Tjitske, one from Germany, Isa, Opitz, Nancy, Fabian and Smudge, Erin from France, one from Malaysia, Jo K, Svetlana, Olga, 2 from Finland… which all mentioned Jo from Belgium. Also, huge thanks to Jessica, Helen T, Juno, Annie, the Homberg family, Michelle P and family, Barbara, Marli, Mummy and Daddy, Carol and Kim’s Grandma for the lovely Aladdin handmade card. Thanks also to Dominic and Gethin for their card and lovely photo, what handsome lads. We’ve had a lot of cards from a school too. I think they are all from Maltby Academy but one mentions Rolleston as well so I’m not sure. Anyway… there are SO MANY names signed in these cards I would be here all day mentioning each one but classes/forms mentioned are… Rolleston 9, Mrs Richards and Form RO14, BE12 and Matt, Joe L, Miss Lovel and YO7. There are some cards with foreign postmarks that I can’t read the names on but thanks anyway. Dom only really looks at the pictures and drawings anyway. I would like to say a special thank you to Christine for her lovely letter regarding Dominic’s upcoming spinal op and her personal experience, it was very helpful. Thanks for your thoughtfulness. I haven’t updated for a couple of months as September was a ‘getting settled back in school’ month and sorting out the numerous things that need sorting out when you get married and have to notify the whole world. In September Dominic had a sleep study at the Brompton. We had to stay overnight and he had to be wired up to test his lung functions and breathing. It was actually lovely to spend time alone with Dominic in a private room. I caught up on my cross stitching for Love Quilts. Anyway, Dominic was a star and very happy and relaxed there. The next morning we were told that his oxygen and breathing levels are all 99% which is fantastic news. I have to say that the staff in the Royal Brompton were fantastic and made a potentially difficult stay almost enjoyable. Dominic was then at GOSH last Wednesday and had another spinal X ray. It showed his spine had curved further and therefore in the consultation with the specialists after the X ray, we discussed Dominic having spinal surgery. This will be in Dominic’s best interests as he will be in pain the more his spine curves, which it seems will happen without surgery. He will have 2 rods put in his back and be in GOSH for 10 days (on average) unless there are complications and he will be off school roughly 6/8 weeks. They have said he will have his pre op assessment in the New Year and then the surgery will be a matter of weeks later. The Specialist said that he was a perfect candidate for it as his heart and lungs aren’t affected much so far. I had hoped he could have the surgery done in Stanmore which would make it easier for me to go between the hospital and home, but they want him to have it done in GOSH due to his extra needs (his severe learning difficulties) and they feel they can give him and me better care at GOSH. It’s getting in and out and parking that worries me… especially after getting another parking ticket (this time it was despite being on a single yellow line with my disabled badge showing). The Camden traffic wardens need a lesson in humanity and I shall be appealing, especially after speaking to a nice traffic warden who was disgusted that someone gave me a ticket and took my details to help me, bless him. SHAME ON YOU WHOEVER GAVE ME A TICKET! Most of Dominic’s cards this last two months have been from the ladies who never forget or fail to keep in touch with Dominic and/or his siblings and me… Christine from the USA, Anne Calico, Marjolijn and the very lovely Sarah Gilligan who writes and sends gifts to the kids several times a month. I can’t thank you ladies enough on behalf of the kids and myself. Thanks also to Heather Wright for her lovely chatty card. Thanks so much to Miss Walter and Emma, Holly, Onie, Aimee, Jack, Daniel, Hayden, Eloise, Jade, Tom, Jay and Kaya from the class of S11 at The Westlands school in Sittingbourne Kent for their lovely letter. Thanks to Sarah G (again!) for her poems to all the kids also to Uzair! Thanks so much to everyone who sent a gift for Dominic this month and in September. All were appreciated and Dom loves getting all these little nick nacks. Any that he can’t use the other kids benefit from. Thanks to Post Pals (and Kate D) for the kids Halloween packs. Dom loved the light changing ghost and the girls drove me mad with the vampire teeth. Ben liked the pumpkin torch. Well thought out. Thanks to Imogen and Ben and Lisa and Olivia for all their bits sent to Ben and to Becky for her letters and cards to Emily who is going to write back. If I have missed mentioning anyone who has sent something I am so sorry. The cards and letters get passed around for everyone to read and some get mislaid before I can make a note, but please rest assured all are gratefully received. Love and best wishes to all the Pals, especially the featured ones. A special hug and strengthening vibes to the very brave Jaz L and her equally brave Mum, Jade. Thinking of you. Dominic has had a quiet few months medically. He turned 16 last week whilst we were on holiday in Felpham near Bognor. We took him to the Amberley Museum and Heritage Centre and he loved it. The weather wasn’t too bad, other than one downpour that day, and the Museum was pretty quiet. He loved the old buses, trains etc and there was so much room he could scoot around on his wheelchair to his hearts desire. When we got back to our holiday home Dominic was sooo excited when we sang Happy Birthday to him (he normally flips out) and he blew out the candles on his cake… persevering when they didn’t blow out straight away. I don’t think he’s ever had such an enjoyable birthday and it made me very happy to see him happy. My partner, Jamie, and I also got married on holiday. We hadn’t told anyone other than my sister that we were going to do it and it was hard to keep it secret and took a lot of organizing. Dominic looked very handsome and smart in his trousers, shirt and waistcoat. Dominic goes back to school on Monday which I think he will be pleased about. He has a sleep study at the Brompton this month (September) which will determine when he will be having his spinal operation. Thank you so much for all Dominic’s birthday cards this month and thanks to everyone who has written to Dominic. He can’t write back due to his severe learning difficulties and I just haven’t had the time to reply the last few months, but each and every letter and note is very much appreciated. Thank you for all the little gifts, not only Dominic, but for the ones his siblings have received too. The football doorbell that was sent to Ben is now on his bedroom door and has ‘Come on lads’ (due to it being a football) recorded on it in his voice and he’s got a fantastic rap going with it. Love and best wishes, as always, to all the Post Pals and families, especially the featured Pals who are having a tougher than normal time at the moment. Thanks this month to our faithful Sarah G and Kim L who NEVER forget Dom and his siblings. Thanks also to Nicola (West Midlands) and Christine (Florida). Thanks so much for the Power Rangers pack. I couldn’t find a name on it. Dom has been playing with it. Thanks also to the Nitrol team for the goodie bag. I am so sorry for missing the party on Saturday. It looks like the sun shone for you all and the balloon release looked breathtaking and was a fitting tribute to the beautiful Angels who have lost their fight against illnesses over the years. I just don’t think Dom would have coped very well with it. He’s not good with crowds due to his Autistic tendencies. Just a quick update as I’ve had Dom’s Echo Cardiograms results. His heart hasn’t got any worse since the last Echo in Jan 2009 and has, in fact, improved probably due to the Perindopril he’s been taking since last year, so that is great news. This isn’t 100% official yet as the Consultant needs to go over the readings etc but they hardly ever find anything different apparently. This does mean that his heart is OK to have the spinal operation and after another chat tonight with the Neuromuscular Nurse at GOSH, I think that they would like to do it sooner rather than later. In the long run it’s much better for him. We just need him to have this sleep study and get the results from that. Dominic had his annual review at school last week which was very interesting. He stays at his school until he’s 19 but we have to start thinking about where he would go afterwards. He’s growing up so quickly. Dominic had a very busy, stress filled day at GOSH yesterday. He had a Scoliosis appointment, a spinal x-ray and an Echo Cardiogram. In total we waited for 5 hours. Dom’s Echo appointment was supposed to be at 12.30pm and we got in a 3.15pm. The poor lad was so patient too despite being really hungry. In the end I had to feed him in the waiting room. It was all so much easier when the Neuromuscular Clinic was at Hammersmith Hospital. Due to Dom’s learning difficulties he doesn’t understand that we are at hospital to try and help him, so obviously when he is messed about he gets very scared and retaliates at times. When he’s waiting for a long time he gets more and more tense. Anyway, I digress. I don’t know his Echo results yet but hope to have those through in the next day or so. Last time his heart had deteriorated slightly but I’m hoping there’s not been much change since then. His Spinal x-ray showed that despite the body brace his Scoliosis had got worse. It was very clear to see when they put his last 2 x-rays together. Normally they would operate on his spine without question but because of Dominic’s Learning Difficulties I have to make the decision on whether or not he should have it done. If he doesn’t he will be in pain when it bends even more which they expect it will do as it has despite wearing the brace. The surgery depends on what results come back from the Echo and also the results from his baseline lung/heart sleep study, which has come through at the Brompton Hospital in September, as if the heart and/or lungs are affected too much they may not risk the anesthetic, as it can be risky anyway for boys with DMD. So we have an appointment coming for Oct/Nov (after the results are in for both) to have another x-ray and see the Neuromuscular consultants to discuss and decide what to do from there. It will certainly be a busy latter part of 2010 by the looks of it. Despite changing to Adult care after August (when Dominic’s 16) they will be operating at GOSH, which is good at least. It concerns me greatly that Dominic will have to be with adults after August whenever he needs medical care as mentally he is younger than a lot of kids half his age. He needs the DVDs, toys, books and so on that you get on a Children’s ward. It is also so unfair because he has Autistic tendencies so doesn’t react well to any change at all. Fun times ahead I think. We’re thinking of all Dom’s fellow Post Pals who are having a hard time at the moment. Thanks to Debbie from Shrewsbury, Despina, Penny, Jenny Flack and old faithfuls Kim (Ginger that was) and Sarah G. Thanks to Stephanie and family, Guy Townsend AKA ‘Naughty Schoolboy’, Matt B (who sent a fantastic drawing! ), Blake H, Marjolijn and family, Jonathon and another Dominic. I hope to reply to some of the letters etc on behalf of Dominic but if I don’t get chance to I would like you to know how grateful we all are to everyone of you sends a card, letter, gift or email. I would like to make sure that everyone who sends a few lines, card, gift… anything to Dominic and/or his siblings… knows that it is gratefully appreciated. I would love to personally write and thank everyone but I just don’t have the time but that doesn’t mean I am complacent. Dominic received a beautiful quilt from Love Quilts who make up cross stitched quilts for a lot of poorly children from all over including Post Pals. It is just gorgeous and totally personal to him. We chose Disney Characters as the theme and I attempted my first cross stitch square and did Captain Hook for it. I’m quite impressed with it for a first attempt. Dominic just loves it. Thanks to everyone at Lovequilts and all the stitchers… especially Kat who put it together. I am now a Lovequilt stitcher and have done 2 other squares for other quilts. I’m on my 4th square. It felt only right after doing one for Dom that I should do some for other kids. Dom has had a quiet few months medically. He has a big appointment at the beginning of June when he will have an echo and a spinal x-ray. I have also had an assessment appointment through for the Brompton Hospital which is next week. This is because he will be going in to have a sleep study soon to test his lung function. Boys with Duchenne need nighttime ventilation at some point and this is to see where we are at as regards to Dom’s lung function. At present he just takes Perindopril nightly to slow his heart down and take some pressure off it. It will be a busy month for Dominic. I would like to express my families deepest sympathies to Holly’s, Jamie’s, Madison’s, Sophie’s and Kian’s families. Such a sad time with so many special angels passing away the last few months. I’ve just found out that Rhianna passed away today too. 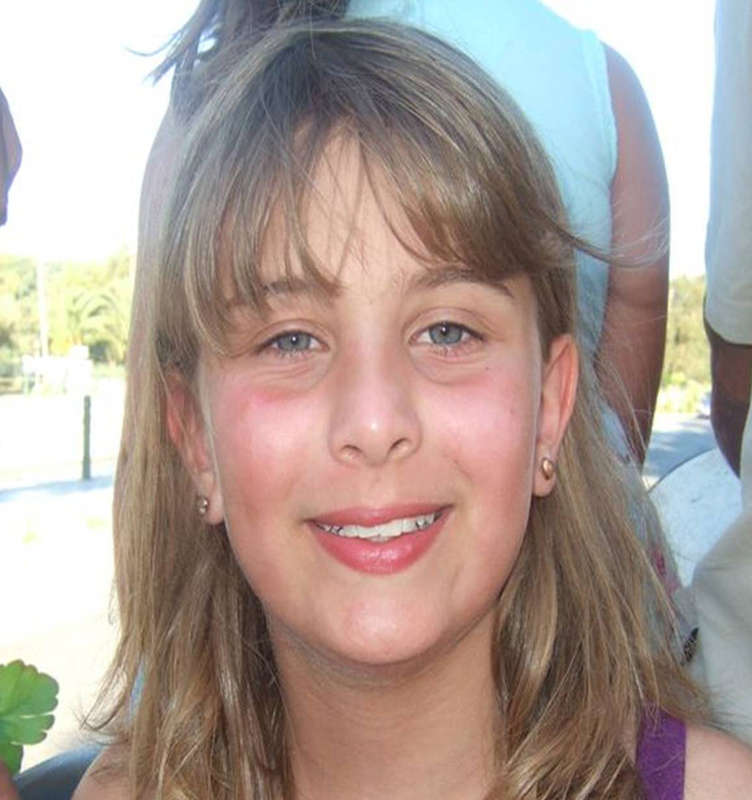 Sweet dreams beautiful girl and condolences to her family. It’s just heartbreaking. Thanks for all the cards received over and around Easter. As always the constant and caring Sarah G and Kate D sent a few as did Kim (can’t get used to your name change!). We ALL love the Tiger card. It is just brilliant! Thanks also to Marjolyn, Libby, Margret, Garry and Julie. After Post Pals was on Russell Howard’s Good News, Dominic has received a fair few Emails. I have replied to some on behalf of Dominic. Forgive me for not replying personally to all of them. Dominic has severe learning difficulties and so cannot reply personally but we are very grateful for all emails received and the fact you’ve taken time out to send them means a lot to us. It was also great to see Viks get praise that she truly deserves on Russell Howard’s Good News. Well done to a special lady. I would like to thank Chezz for her fantastic letter and drawing of Mickey Mouse. Dom loved the drawing and the girls thought your letter was lovely. I would like to thank Becki for my Mother’s Day package. The DVD has been played and sung along to. Thanks so much. Ben would like to thank Leo for his photo and bits and pieces. Leo looks as cheeky and cute as Ben! Thanks also to Karen for Ben’s book. Apologies for the lack of an update last month. It was a pretty quiet one. In February Dom had an appointment at GOSH with Professor Muntoni. It went pretty well. Dominic’s upper body movement remains good for his condition. It could be a lot worse. They feel that Dom needs a more intense sleep study at the Brompton as I mentioned that he isn’t eating breakfast so much and was stroppy tired first thing in a morning. This could be a sign that his breathing has deteriorated further. This will happen in the latter part of the year I think. Due to Dominic turning 16 this year, it was discussed about Dominic having to move to another clinic, as GOSH is a children’s hospital. So, we will probably go to the Neuromuscular hospital behind, as that’s where Dominic’s used to going. He doesn’t adapt to change very easily because of his autistic tendencies. They couldn’t fit in an Echocardiogram so he has been booked for one of those on his next appointment at GOSH (which is 2nd June) at the scoliosis clinic when he will also have another spinal X-ray. Dom has also had an appointment at the Wheelchair services where, at long last, we have got his seating right. We’ve had huge problems with his legs splaying and so his ankles have started turning in. We now have arms that come off his foot plates and push his knees in. His posture is much better now and should hopefully help avoid his feet hurting because of turning in. Dominic’s older sister has now started a new school and appears to have been accepted and is a lot happier. Hope it stays that way. I would like to thank everyone who has taken the time to drop a card, letter or gift to Dominic and/or his siblings. I cannot tell you how much we appreciate it. Thank you for Emily’s birthday cards too. We are grateful to everyone but would like to mention Marjolijn who sent some lovely Valentines gifts to all the kids. They loved their nik naks. Also, thank you so much to Hannah who goes to Birmingham University for the books she sent with a lovely little note. Thanks also to Kelly Han. I would also like to mention Sarah G who regularly sends Dominic and his siblings cards and photos and bits and pieces. She is a lovely lady. A recent picturesque photo received of the canal outside her house has made me green with envy though. I would like to send my thoughts, prayers and love to both Sophie’s and Madison’s families… and the precious girls themselves. I hope they are comfortable and pain free… It is the least they deserve. Whatever your beliefs, it makes you question them sometimes. Once again, I just want to thank all the wonderful people who sent cards, gifts, letters, e mails and wrote messages on here for Dominic over Christmas… and, in fact, all year round. Also, huge thanks for all Dominic’s siblings gifts and cards. You have no idea what a difference you make to all their lives. Having a very poorly brother/sister is really hard on the siblings and they deal with a lot more than their peers. We are thinking of other Pals i.e. Jon Paul and the featured Pals this month, who appear to be having a pretty tough time at the moment. Sorry for the lack of an update last month. I’ve had such a busy few months with one thing or another. Dominic’s sister has been home since the end of November due to bullying and I’m trying to get her in to a new school. We also had Dom’s Disneyland Paris ‘dream’ at the beginning of December kindly organized by The Dream Factory. It was very beautifully set out, exciting but stressful, and we had an awful situation occur while trying to meet Santa but were rewarded with a special Meet and Greet with Mickey Mouse and Friends where they interacted with Dominic, his siblings, cousins and the rest of us privately for 15 minutes. It was amazing. I had a mad rush to get organized for Christmas once coming home though which is why I never had time to update. Dominic loves the build up to Christmas but once it arrives he gets very angry and has temper tantrums as it’s out of his routine. This is due to his autistic tendencies (due to having Severe Learning Difficulties) but it’s very hard to deal with. He loved all his presents though and everything that was sent was appreciated. My other children are really pleased with all their gifts from the elves and other Post Pals Supporters and have asked me to say a huge ‘Thank you’ to everyone. You are all amazing. All the messages and letters are much appreciated and I’m so sorry that Dominic can’t reply to them personally. Including all the cards from the reindeers and elves for Dominic and his siblings we received a lot of cards and I would like to thank everyone for taking the time out of a stressful Christmas to put a smile on my kids’ faces. The reindeer cards were so well thought out and interesting and enjoyed by everyone. It’s overwhelming. I’d like to not only thank people for any letters received but also for the emails Dominic has received too. In all, Dominic and his siblings received over 20 presents… I’m not sure how many but there was a Post Pals sack from Father Christmas with presents for all of them in to open Christmas Day. Emily did very well out of it. Thank you so much everyone. I have a few ‘doubled up’ presents my kids received from friends that will be winging their way to other Post Pals. For some reason we have started getting really bad shocks off Dominic from the wheelchair so I need to look into this. We have a wheelchair seating assessment this week and also a GOSH appointment coming up in February. Dominic appears to have a tender area at the base of his spine. He is seated in a Jay Cushion, which is gel filled and therefore not hard, so I don’t know why this is and I will mention that at both appointments. In the meantime I would like to wish everyone a Happy New Year and let all the Pals who are having a real tough time at the moment know we are thinking about them. Dominic’s October was pretty busy. We collected his Body Brace, which was pretty painless, and it fits him much better than the other one did. It fits him too well actually, as it now restricts his upper body movement, and so he is finding it hard to eat as he can’t bend down to his food. His upper arm muscles have also deteriorated and he can’t lift his hand to his mouth, so I need to get something sorted for that and have left a message asking his OT to get in touch. At present I’m putting books under his elbow so it lifts his arm higher. Dominic had a visit at the Community Dental Clinic and it seems doubtful that he will have his front tooth mended where he broke it in temper on holiday. The local hospital won’t sedate a child with DMD. The only options would be to have it done at GOSH or leave it. At present we are leaving it as it isn’t really bothering him (although it did at first) and it is one less thing for him to have to go through. Dominic started on the Perindopril for his heart 2 weeks ago and so far there doesn’t seem to be any side effects, thankfully. This reduces Dominic’s blood pressure and therefore reduces the hearts work, as according to his last Echocardiogram, Dominic’s hearts muscles have started to become affected by his condition. Dominic broke his wheelchair in temper last week. His temper since hitting 15 in August is unbelievable. Too many hormones now! He steered it into a wall at school and broke the footplate off. Anyway, Whizz Kids sent their repair company out and mended it on Friday so it’s brilliant again now. Thanks to everyone involved with Post Pals… especially Viks (who I never knew much about until finding her and Post Pals on Facebook) as she really is a selfless and amazing lady. Huge thanks for all post this month. A special mention for Kim Ginger who sends things for Dominic and his siblings regularly. All post is very much appreciated. I would like to thank Sara Gilligan for her lovely letter last month after she saw I was having a bit of a hard time. It was very kind of her to think of me and I was touched. Dominic went to GOSH a few weeks ago to be cast for his new body brace. To say it was a drama is an understatement, and if I’d known, I would have gone into training. They have NO hoisting equipment in the Orthotics department which caters for hundreds of children in wheelchairs, so we had to lift Dominic onto a bed and then back again… and then on the bed and back again. He is 15 years old and weighs over 9 stone and is a dead weight. The whole experience was challenging. Also, due to his SLD, he hates hospitals as he doesn’t really understand that we go to help him and he doesn’t comply easily. We got him cast eventually but I was totally worn out and had a job to drive home and Dom was very fraught! Anyway, I’ve got to take him back on 14th October so he can have a fitting. Dominic’s behaviour has been a lot more challenging of late .He seems to get angry and frustrated more and it’s quite hard to deal with at times. I try hard to be understanding etc but I’m not a robot and sometimes it’s hard not to let it get to me. I enjoy his odd nights respite much more than I used to and it makes me feel guilty for even saying that. Thank you, as always, to everyone who has taken time out to send a card or letter to Dominic and my other children. You are all amazing and very thoughtful. God bless you all. Love and hugs to all the very poorly Post Pals. Thinking of you all and your families. I apologise for the delay in updating Dominic’s page. The month before school broke up was a tough one due to my eldest daughter being bullied at school, and then as all you parents will know, the holidays are busy and I have been totally distracted. We had a family holiday in Weymouth at the beginning of August. The weather was dire but the company was good. The one downside being that Dominic re broke his front tooth throwing his head forwards in temper, so I have got to try and get that sorted as it is irritating him. He has an appointment at the dentist next week. Dominic turned 15 last week too. We took him on Leighton Buzzard steam railway, which he enjoyed despite the wasp invasion, and then we had a family party at home. I always find Dominic’s birthday very bittersweet and quite hard. I don’t want him to get older with the nature of his condition. To add to the stress, we ended up in A&E as the baby, Ben, fell off a chair and cracked his head open on the path. He’s fine now though after they glued it. Health wise Dominic is OK. He has an appointment at GOSH tomorrow at the scoliosis clinic. I think he will probably need to be cast for a new brace as this one doesn’t seem to fit him very snugly. Hopefully this one has stopped his spine curving any further though. He also has someone going into the school next week from Wheelchair Services to view his seating. I still don’t think he is seated as well as he could be. We would like to send Madison and her family our deepest love and strengthening thoughts through this very tough time. We are following her updates closely and we would do anything to change things for her if we could. Life is very cruel at times. As always we are grateful for all post received. The kids all get a huge kick out of the fact that strangers are taking the trouble to write to them and send them bits and pieces. Thanks to an American school for all the postcards received. It was lovely of you all to take time out and write to someone overseas. Aurora (beautiful name)… Dominic would love to write to you but he can’t write. However, he has a 12 year old sister who I’m sure would love to write to you, especially as she has been looking for a penpal from overseas. If you could email me your address that would be great as I can’t find it. Thank you everyone for all the lovely cards, as always. Particularly for Dom’s birthday cards. Thanks to the lovely person in Japan who sent ‘lollipop’ facecloths to all my children, Ben included. Thanks too for all the stickers received recently. Thankfully Dominic has had a quiet month this month… especially after last month. There has been no changes in his condition and no appointments. At his last appointment at GOSH they told me his last echocardiogram in January showed there was a decrease in his heart functioning, so Dominic will be starting Perindopril soon to reduce pressure in his blood vessels, so his heart doesn’t have to work so hard to pump blood round his body. I have had a major disappointment after thinking I had, at last, found a carer who could take Dominic out in an adapted vehicle once a month. A community nursing service offered a carer for Dominic in September last year and after setting up direct payments and repeatedly trying to get hold of them, I have just received a letter saying they can’t do it now. So Dominic is back to never going out without his family, which he needs to as he is a 14 year old lad. We have had one bad experience after another with carers. I feel so sorry for him as his quality of life is affected and quality of life is so important as his condition is life limitting. Why is everything such a fight? Thanks this month to Kim for another gadget type card she sent for Dom, he loves it. I would like to say how sorry I am to hear about Jack B. I had been following his progress. Deepest Sympathy to his Mum, Dad, brother and sister. We’re thinking of them all. Dominic has had a busy month this month with appointments etc. He had his main 6 monthly GOSH M.O.T. I received the results from the recent sleep study I did at home and also from his last Echocardiogram in February. On the downside, his heart has deteriorated a bit. This means he will be taking medication to slow his heart rate down to take the stress off it a bit. There are a few side affects with this medication i.e. dizziness, but he will be taking it at night so it shouldn’t affect him too much, as he will be asleep shortly after he’s taken it. He will have another Echocardiogram later in the year. The positive news is that the sleep study showed his breathing is very good, with only one dip in 10 hours, which the Doctor told me anyone could have, so that’s great news. The sleep study will be repeated again in January I think. It’s so hard sometimes to take in all the information given on the day, but I will get a report home re that appointment soon and if I’ve missed anything out I will update again. Another bonus was that I took Dom to the Orthotics clinic while we were there and got his body brace adjusted under his arms, so it is much more comfortable now. They said that it wasn’t a perfect fit as GOSH had cut the hole at the front out too big, so he will need another one very soon and will need to be cast again… which he HATED last time. Dominic also had an appointment at the wheelchair clinic who have agreed to give us a cushion for his powered chair, as well as keeping the one for his manual chair (which he hasn’t used since getting the powered chair!). He has been measured accurately for it and we are waiting for it to be delivered now. It will make a huge difference to his posture, which is so important as his feet are turning in which is painful for him and correct seating keeps his knees together and therefore his feet flat. Dominic and I went to Locktons in London at the beginning of April so that Whizz Kids could thank the Company and its employees for raising the money to provide Dominic and, I think, four other children with wheelchairs, which makes a huge difference to their quality of life. In Dominic’s case it is so important as his condition is degenerative. The employees at Locktons were very welcoming and very pleased to see Dominic and another little boy who was there in their wheelchairs and see firsthand the difference that their generosity has made to their lives. I mentioned to a few of them that Dominic was on Post Pals and what Post Pals was about and so if any of them are reading this I would like to thank them, and Whizzkids, from the bottom of my heart for giving Dominic his independence back and giving him a better quality of life. I would also like to apologize for Dominic’s ‘near misses’ as he careered around the room in the chair, narrowly missing taking a few of the staff down. As always, a ‘Huge Thanks’ to everyone who takes the time to buy/make and send things to brighten not only Dominic’s but his siblings lives too. Thanks to Post Pals for making it happen. They all get so excited opening things and although Dominic doesn’t really understand what Post Pals is, the girls do and they are so amazed and grateful that people they have never met are sending them gifts and cards. Dominic’s condition is hard on them too at times as they worship their elder brother… as do I! Thanks to everyone for the lovely cards. Although this month we are very disappointed with some dishonest Post Office Workers who have slit open the edge of some of the thicker cards obviously hoping to find money. Dominic had another great cat letter from Tracey which was very much appreciated and thank you so much Sarah G for all the books which are all being put to good use, it’s so kind of you. We have a busy month coming up with Dominic having a Whizz Kids presentation in London next week and another appointment at GOSH. STILL no sleep study and I’m STILL trying to get his body brace trimmed. Nothing is ever straightforward. Special thanks this month to Sarah for my Mothers day card and poem. Only Dominic had made me a card at school as everyone else forgot… so that was very well received. I made sure they made up for it though! Dom had a great Easter sticker card from Kim. We can’t promise that he won’t be eating a lot of chocolate, Kim! Thanks for Tracey’s letter to Dominic with the pictures of cats on. It is soooo screwed up where he has looked at it over and over. He likes letters if they have plenty of pictures on. It’s been a pretty quiet month this month with hospital appointments etc. I am STILL chasing up his sleep study. Why this is proving to be such a drama I really don’t know but GOSH will not be happy. It is so important that his breathing is checked regularly at this age with his condition. Dom is still wearing the body brace everyday although it is rubbing him under the arms now so it will need trimming… something else I need to chase up. Dom has also been to the Dentist this month and his teeth are OK other than he has one that is behind the others as there is no room for it to come through. Under normal circumstances they would remove it but Dominic wouldn’t tolerate having it taken out and, with his condition, General Anaesthetic is avoided unless absolutely necessary, so it is being left as it doesn’t seem to be causing him problems. I hope the snow didn’t cause everyone else as much disruption as it did us. Special thanks this month go to the people who sent Emily birthday cards. She was really impressed that she got cards from people who saw it was her birthday on here and particularly loved the one from Maria that had an ‘E’ cross stitched on the front with a ballerina (she loves ballet!). All her cards have been taken down but kept. Supportive thoughts and best wishes to all the other Pals and families. Dominic went to GOSH this month to the Neurology Scoliosis Clinic. He had two x-rays on his spine, one wearing his brace and one without, and it showed that the brace is improving his posture no end. His spine curvature has worsened since July partly because he’s only been wearing the brace a few months, and despite hoping that the brace will avoid the need for Dominic to have spinal surgery in the future, I was told that he probably would need to have surgery at some point. However, after speaking to the Neurological Nurse last week it may be something that I may have to opt out of for Dominic. Due to his Severe Learning Difficulties he wouldn’t tolerate the aftercare well or have any understanding of what was being done to him or why. Also, due to the fact that he has a life limiting condition, I want him to have a good quality of life rather than be in pain or discomfort. Hopefully I won’t have to make any decisions regarding this for a while yet. He also had another Echocardiogram which showed that his heart was possibly a bit more affected than last time. However, at present I don’t have the exact results, as his last Echo was at Hammersmith and now the Duchenne Clinic is at GOSH and the last I heard they hadn’t compared the two. Dominic has gone off having breakfast recently which I also mentioned to the Nurse and she said it can be a sign that his breathing is dipping more during the night. He needs a sleep study to determine this but I have spent the last year chasing this up as he was supposed to have one January 2008. As always these things become a battle. If it shows a marked difference in his breathing at night he will need further studies done. At some point he will have to have ventilation at night but I really hope that won’t be for a while and I’m not sure how he will tolerate that either. On a high note, we picked up Dom’s new Indoor/Outdoor powered wheelchair kindly donated by Whizzkids and it is great. I wouldn’t mind one. I’m having trouble at the moment sorting out the transport clips as they are too small so he’s only been in it once, but hopefully by Monday he should be set to go. Thank you for the cards and gifts this month, especially knowing what a hard month January is for a lot of people. Huge thanks for the lady who sent chocolate candles and an aromatherapy bath bomb for Dom, but every card and gift is appreciated immensely. Also, thank you to Post Pals for my little box of truffles. I would love to say that I was dieting after Christmas and had saved them, but they lasted about half an hour. 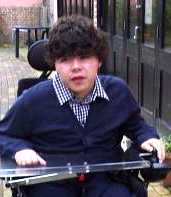 Dominic has a GOSH appointment this month and collects his new powered wheelchair. As recently updated, I am overwhelmed by people’s generosity and goodwill and would like to say thank you. One of my youngest daughter’s gifts was food for the reindeer from Santa so they would stop here. On Christmas Eve i went outside with her and we sprinkled it. She also got cards from the reindeer which she loved. Dominic got a few Christmas tree decorations and as he has his own little tree in his room as well as our main tree, we put them on that one. We also got an elf hamper full of presents. I’d like to say thank you so much for all Dominic’s cards and presents last month. I was in tears opening them with him when i saw that people had sent such nice gifts to someone they have never met before, including the things sent for the girls and Ben too. I am so touched and totally humbled. Thanks to all of you marvellous people at Post Pals and all the wonderful, huge hearted people who read Post Pals and send things too. Dominic now has his body brace which he has just started wearing over the last few days to try to prevent his spine from curving any further. He isn’t very keen on wearing it at all and I can’t say I’m surprised. It is very hard and rigid and restricts his upper body movement. He has to wear it at least 8 hours a day everyday. He also wears leg splints at school so I feel very sorry for him. Dominic had a bug a few weeks ago which made him very lethargic and he wouldn’t eat as he was sick a lot. He seems to get a lot of the bugs that go around. I put his Christmas decorations up in his bedroom last week as he adores Christmas, especially the run up to it, so he was very excited about that and watched ‘The Grinch’ about 10 times in a row. Dominic is due his next GOSH appointment in January/February and at that time will need an echo to check his heart is still OK as that can become a problem as kids with DMD go into their teens, so we are hoping that it goes well. Thank you for the cards and letters this month and also for the Disney 3D Viewers and the gifts for Dominic and my daughters, Vanessa and Emily. They were both very excited and grateful and wanted to say thank you. Dominic and family would like to wish everyone at Post Pals, all the children who are part of Post Pals, their families, and all the lovely people who take the time to send a smile, a very HAPPY CHRISTMAS AND NEW YEAR! Dominic now has his powered indoor wheelchair which has given him back some independence which is great. It will be even better when he gets an indoor/outdoor powered wheelchair from Whizzkids so he can stay in it permanently, but this one is great for the time being. He now has his leg splints too and wears them at school as he won’t tolerate wearing them at home. We went to GOSH this week to have a fitting for his body brace but it needed sending back to be adjusted. He recently had a few nights stay at Keech Cottage which he loved too. We received cards and postcards from all over the world including America and Japan. Dominic loved looking at the pictures. We are very grateful and touched by people who have never met Dominic taking the time to send him something. Dom’s face when he has cards to open and look at is heart warming. The letters and E mails were lovely too. Me, my partner, and daughters, loved reading them and we read them to Dominic, but unless it’s short and basic he doesn’t understand. Thanks to everyone who has written to Dominic and I’m sorry that he can’t reply. Dom has had some lovely little toys from a few people – a bandana, torch keyrings, and Dominic and his sisters also received a little parcel of goodies from a lovely lady for which we are very grateful. Thanks to Kelly Davison for sending a beautiful Glo light elephant mobile which Dom loves. We are very touched by people’s kindness in taking the time out to drop a line to Dominic and/or send a little gift. Post Pals is a fantastic idea. Dominic has been very pleased to get back to school and see all his friends again. He swims three times a week at school as it is very beneficial to keep his muscles loose and flexible. He seems to like spending most of the time in water with his head underneath the water which worries his teachers and assistants. He went to be measured up for a powered wheelchair last week which will be funded by Whizz Kids as it is the price of a new car to buy. He had a test drive and kangaroo hopped a fair amount. He can easily use the controls but panics if it moves too fast. He also went to GOSH two weeks ago to be cast for a body brace as his spine has started to curve and the Specialist wants to hopefully rectify it with the brace or at least stop it getting worse. On behalf of Dominic, I would like to thank Tamaki, Linda B and Helen for the cards and Julie for the card and Bandana. It is so nice of you to take the time to buy/make, write and send things to my precious lad.